One of the biggest challenges many coaches and up-and-coming experts face is actually choosing the right posture when communicating with their followers. Do you position yourself as an authority that people; look up to and aspire to be like? Or do you come across as one of them so they feel like you understand them and are in the struggle with them? Do you position yourself as an authority that people; look up to and aspire to be like or do you come across as one of them, so they feel like you understand them and their struggle? As a coach, speaker or trainer, we are all trying to be the expert in our space while still connecting with our followers – but what is the right formula to do this? Many coaches, speakers or trainers who look to be seen as the expert use the word “you” a lot when talking to their audience. This is usually done to establish authority as the “expert in the room” who has the answers. To appear more friendly, you smile more and speak with an uplifting tone yet you are still using predominantly authoritative language positioning you as “The Expert”. These are coaches, speakers or trainers that focus on connecting with their audience and making them feel like they’re travelling the journey together. Their language is usually more inclusive and they usually use the word “We” often in their communication. 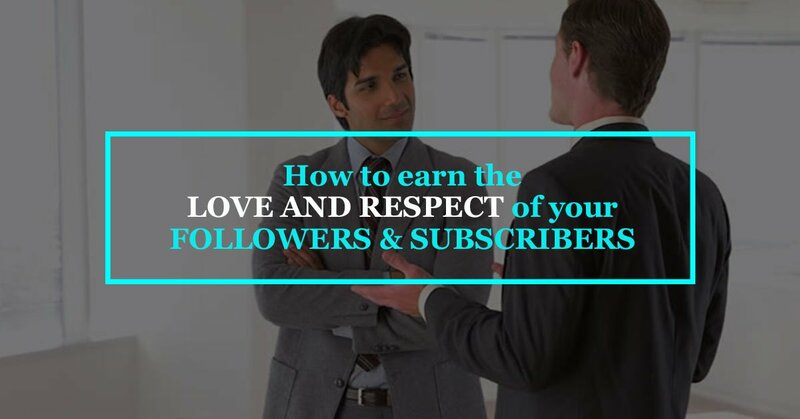 This elicits inclusiveness, making you one of them and building a very strong connection with your audience as it helps build what I like to call “Likeability”. To help establish your authority you might wear a power suit or sit behind a desk when speaking to your followers. However, your language is focused more on community and likeability than authority. The problem with these extremes can be the coach, speaker or trainer who uses authoritative “You’ statements almost exclusively, coming across as arrogant and obnoxious. The coach, speaker, or trainer who uses “We” statements exclusively can be seen as uncertain and unsure. My recommendation to you is to find the middle ground with your language. Find your “Just right”. First, you need to honestly determine what your current speaking style is. Then become aware of moving more toward the middle. Dressing up and staging sets will not compensate for the words you choose to speak with your audience. First, you need to honestly determine what your current speaking style is. Then become aware of moving more toward the middle. Dressing up and staging sets will not compensate for the words you choose to speak with your audience. While listening to yourself either re-reading your posts or listening to your replays, if you find your language is authoritative or has too many “You statements” think about adding more “We statements” to be more inclusive when you write or speak. On the other hand, if you find that your statements are too inclusive, think about adding more “You statements” to show your authority in the space. The most effective coaches, speakers and trainers have a balanced approach and will mix authoritative sentences with inclusive sentences to get their point across authoritatively while connecting with their followers in a powerful way. Where is your “Just right”? Please comment below with your thoughts on too authoritative or too inclusive. Is your “Just right” the exact middle? Do you find it more effective to have more of a 60/40 split? Let us know how you make corrections when you realized you were leaning too far to one of the extremes. Why don’t you have a go at reworking the example used in this post and come up with a more blended statement? Have fun and share your blended version in the comments section below.